Applications of robotic swarms often face limitations in sensing and motor capabilities. We aim at providing evidence that the modest equipment of the individual robots can be compensated by the interaction within the swarm. If the robots, such as the well-known Kilobots, have no sense of place or directionality, their collective behaviour can still result in meaningful spatial organisation. We show that a variety of patterns can be formed based on a reaction-diffusion system and that these patters can be used by the robots to solve spatial tasks. 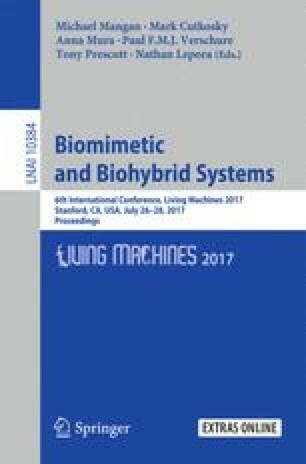 In this contribution, we present first results for applications of this approach based on ‘physically realistic’ Kilobot simulations.